The original date (August 16th) has been postponed. We will notify registrants and post the new date on the website as soon as it is confirmed. This workshop is limited to government attendees only to encourage candid discussion. Industry and the Press are not permitted. With the Technology Business Management (TBM) outlined as a priority in the President's management agenda, and the progress made by OMB/GSA in formalizing the overarching approach to TBM for the federal government, agencies must be equipped with the right knowledge to make their TBM implementation decision to ensure alignment with their missions, goal, structure, and IT environment. This workshop aims at providing the actionable elements to understand quickly what TBM is, how to plan your effort, and step into the mapping effort quickly and safely. Acquire fundamental knowledge about the TBM Framework, and how to leverage each of its components. Develop your TBM assessment baseline and use it to draft your roadmap beyond compliance. Understand the key relationships between TBM, category management, and other IT-based frameworks. CIOs, Deputy CIOs, and CIO staff. Program/Service Managers who are interested in the role of TBM within their operations. Panel: What Value Did You Get Out of Your TBM Data Analysis? Shive is a member of the National Law Enforcement Telecommunications System Alumni Association; American Meteorological Society, DC Chapter; Project Management Institute, DC Chapter; the Air Force Association and the Government Finance Officers Association. He holds an undergraduate degree in physics from California State University, Fresno; a master’s degree in research meteorology from the University of Maryland College Park; and a post-graduate management certificate from the Carnegie Mellon Graduate School of Industrial Management. 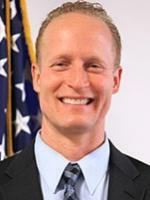 Mr. Hardin formally joined the Office of the Federal Chief Information Office at OMB in March of 2018. In this role, he has served as the IT Desk Officer for multiple agencies, provides leadership in both the Capital Planning & Investment Control and Federal Technology Business Management communities of practice, and is a key thought leader in driving the successful execution of the President’s Management Agenda (PMA) Cross Agency Priority (CAP) goal related to Improving Outcomes through IT Spending Transparency across the government’s $90B IT Portfolio. His experience at the programmatic, agency, and government-wide level all support his ability to positively impact the modernization of the decades-old IT budget reporting process for the Federal government. With over ten years’ experience leading organizational improvement engagements for public sector clients, Ms. Barnard is an experienced program manager who possesses a strong analytical background with an emphasis on practical implementation of best practices to gain efficiencies and deliver results for her clients. She has led executives in the areas of category management, acquisition support, organizational design and transformation, change strategy and planning, strategic planning, project management, business process documentation and improvement, information technology (IT) planning, and cost and financial analysis. Ms. Barnard is also a thought leader in government application of category management principles, having presented for the National Contract Management Association (NCMA) World Congress conference and co-authored an article on the topic in Federal Computer Week. Mr. Bignon has over 12 years combined experience in IT services management and business process improvement for government agencies and private IT companies. His expertise lies in the areas of IT business process & cost modeling, IT quality assurance standards and quality control of systems. Mr. Bignon has broad knowledge of customer relationship management systems, content and knowledge management, and service-based activities. He has built and led several IT quality assurance departments and agile testing team, improving both effectiveness of the quality process and improvement of the IT product delivered through the implementation of six sigma principles. He has successfully implemented several instances of CMMI 1.3 for Services, as well as ISO 9001:2008 in IT environments. His experience includes management of agile projects, management of industry certification programs, development and implementation of policies and procedures in all areas of quality control and assurance processes, and management of deployment and customer acceptance of IT solutions. 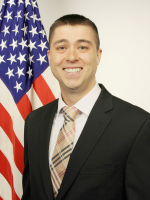 Prior to his work at Grant Thornton, Mr. Bignon led IT projects for government agencies such as the Department of the Veteran's Affairs, the Army Corps of Engineers and the Federal Communication Commission. Mr. Bignon also led projects in private industry including transportation management for K-Mart and Descartes, and developed telecom network cost models for Tele-Diffusion de France. 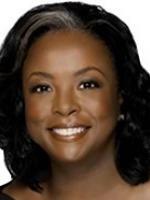 LaVerne H. Council is the national managing principal for Enterprise Technology Strategy and Innovation for Grant Thornton’s U.S. Advisory business. She has more than 30 years of experience in both the public and private sector, implementing global technology solutions and supply chain strategies that drive growth and innovation in industries, including healthcare, consumer products and telecommunications. Council previously served as Assistant Secretary for the Office of Information and Technology and chief information officer (CIO) for Veterans Affairs; Corporate Vice President and first global CIO for Johnson & Johnson; Global Vice President for information technology, global business solutions, and development services at Dell Inc; and, as the global partner for supply chain at Ernst & Young LLC. Council was twice named one of the Top 50 Women in Information Technology by FedScoop, which also gave her the Golden Gov: Federal Executive of the Year Award. She is listed among Healthcare Data Management’s Most Powerful Women in Healthcare Information Technology. Business Trends Quarterly named her one of the top four CIOs in America. The New Jersey Technology Council inducted her into its CIO Hall of Fame, and the Global CIO Executive Summit awarded her the Top 10 Leaders & Change Agents Award and the Top 10 Leaders & Innovators Award. Binta has more than 20 years of experience in delivering IT management services to Federal Government clients and Commercial Sector entities such as MCI/WorldCom acquired by Verizon. She is currently the Program/Project Manager for Architecture, Strategy and Design (ASD) for the US Department of Commerce (DOC) International Trade Administration (ITA), and acted on behalf of the Director in periods of absence. She is also the Program/Project Manager for the Library of Congress (LOC) EA Program Office (EAPO). Since 2003, Binta is recognized by her Federal clients, like the US Department of Labor, DOC and its ITA, and LOC for her expertise in EA, IT Strategy, Governance, Policy, IT Portfolio Management, IT Service Management (ITSM) and Information Systems Development. She collaborates with and advises executives at the levels of CIO, Deputy CIO and other senior leadership. She leads the development of enterprise architectures, strategic plans and IT governance processes, as well as critical enterprise initiatives for CPIC, IT Portfolio Management, TBM Implementation, IT Service Management (ITSM), IT Modernization, and Data Analytics and Modeling. She built and led teams in the development and operation of Federal EA program principles, concepts, IT strategy and design, current and future state architectures, transition strategies and planning, EA roadmaps, IT systems design, modernization and implementation. She has thorough comprehension of Federal EA programs and GAO and OMB guidance related to EA and TBM. Binta holds an Executive Master’s degree in Information Systems and Technology from The George Washington University (GWU), and two Bachelor’s degrees in Computer Information Systems and in Pharmacy. She also holds multiple professional certifications such as the Project Management Professional (PMP) from PMI, Technology Business Management (TBM), IT Infrastructure Library (ITILv3), The Open Group Architecture Framework (TOGAF9), Certified Scrum Master (CSM), and Federal CIO from U.S. General Services Administration (GSA). She is currently preparing for the Cloud Computing Professional (CCP™) Certification. Miss Kril has 3 years of experience in IT for government agencies and commercial companies. Her expertise lies in the areas of data visualization, data analytics, and IT modernization. Miss Kril has broad knowledge of data visualization software, data management, and data analytics techniques. Her previous commercial work included solutions to streamline reporting, integrate data analytics teams into business operations, and perform data relationship management tasks in post-merger and acquisition environments. Currently, she delivers IT Modernization solutions to government agencies seeking to become more effective in their IT spending. Her work aids agencies align their business strategy with IT spending to reduce costs and risk and improve transparency the agencies’ abilities to respond to change. Prior to her work at Grant Thornton, Miss Kril worked at the Federal Reserve Board of Governors improving the Regulatory Reporting processes and at Barclays Bank working in their Anti-Money Laundering Group. Anthony is a Senior Manager with Grant Thornton’s Public Sector Decision Analytics Service Line, where he leads Grant Thornton’s Public Sector Cost and Performance Analytics Service Line and its Public Sector Technology Business Management Practice. 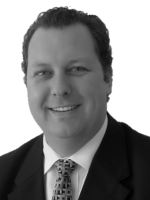 He has over 20 years of experience in the cost and performance management field. He is respected as an innovator and thought leader in the area of cost management and has extensive consulting experience leading a variety of business and information technology initiatives within the Federal government, higher education, commercial, and not-for-profit sectors. Anthony has supported clients with their analytics, cost management, and performance improvement projects in the United States, Australia, Canada, Mexico, and Great Britain. Anthony currently serves on the Board of the Consortium of Advanced Management – International (CAM-I), a preeminent non-profit cost, performance, and process research organization. It is through this organization that Anthony has published several articles on the use of management accounting principles to drive environmental performance – a novel approach to using traditional management tools in a new way. Prior to joining Grant Thornton, Anthony was CEO of a Virginia Beach based software and consulting company. He has also worked for several large multi-national pharmaceutical companies. Aaron Rosenberg is a TBM Design Lead at Grant Thornton’s Public Sector Enterprise Technology Strategy and Innovation Service Line where he leads TBM Design efforts for Federal Clients. He has over 17 years of Program, Project and Portfolio Management and financial management, leading multiple engagements for the Federal Government. He currently a practitioner of TBM at a Federal Agency.